What Makes Organifi Green Juice So Special and Unique? People ask me why I like Organifi Green Juice. I tell them there are several reasons. I have always loved the idea of juicing…. 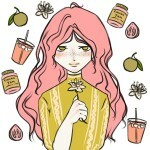 but the mess that I make when ever I juiced was such a turn off to me that I seldom did it. I was so pleased when I was introduced to this powder that had all of the benefits that went along with juicing with out the mess. I found it to be my perfect alternative to juicing. No Mess, No shopping, no chopping and not storing. and I was able to simply add it to my DE smoothy that I drink everyday. It was the perfect solution for me. We have spent 2 years sourcing only the best ingredients. 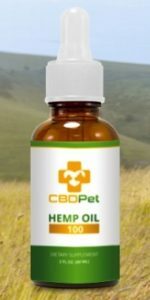 We have worked with many different formulators and manufacturers to make sure we hand picked only the best of the best ingredients to include in this formula. Every ingredient is Organic, Non GMO, Vegan, Gluten Free and Soy Free. There are no artificial sweeteners, not even stevia. We sweetened it with a hint of monk fruit and mint so it tastes absolutely amazing! Organifi Green Juice simply makes me feel better than any of the other greens supplements I have used before. I’ve tried them all – all the one in the grocery store and the ones you can order online. And while I may be biased, the testimonials from happy consumers speak for themselves. This truly is the best on the market! This super ingredient has been shown in clinical studies to reduce stress. Stress is one of the major factors in holding onto unwanted weight. We’ve infused Organifi Green Juice with this amazing superfood to help you relax instead of reaching for a glass of red wine at the end of the day. Many have said it’s helped them sleep like a baby! Some people have sensitive digestion so they end up with an upset stomach when drinking green powders. We’ve added turmeric, which helps reduce inflammation and improve digestion. So this is great for a sensitive stomach, especially since it has increased absorbability. Did you ever think for one moment that your sore back was being caused by your belly bulge?…. I didn’t either, till now. Many people complain about having a pain in their lower back. Lower back pain can be caused my many things.. I have found that my lower back pain was being cause by my belly bulge. Women who are pregnant, especially as they get closer to their due date often have lower back pain. That growing baby bump keeps getting bigger and the pain in the back side just keeps increasing, the muscles in the back are having to strain more and more to support that growing baby. The exact same thing applies when you carry around excess weight in your stomach area. That belly bulge maybe causing your sore back pain too. So, what are you going to do about it…..? The first step would be to plan to get rid of that belly bulge. In the first place having your belly bulge is NOT flattering. Even if your are not fat…. it may make you look frumpy. Adding excess weight to you belly is certain to make you look older…. and in many cases look like your expecting a baby….That is always a scary thought when your 50 or 60 years old. Some people may blame that belly bulge on middle age.. and in some cases that may be true. But that is still is no excuse to ignore that bulging belly….. Eating a healthy diet and adding a bit of exercise to your daily routine will help a lot. But for many that is not enough. Some people swear by juicing to help them lose that extra weight they are hauling around. Juicing to me is just to messy. I no longer juice, I have found a juicing alternative. It is perfect for me, because there is no more endless shopping for fresh ingredients… no more chopping… there is no more mess. I now simply drink GreenJuice…. Now before you say “gross”.. I will have you know that I simply add it to my smoothie. It adds a great flavor to it. I am getting lots of good stuff added to my diet…. and I don’t have a mess to clean up. You can learn more about what I am doing to reduce my belly bulge by clicking HERE. 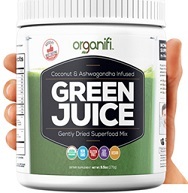 I have been adding diatomaceous earth to my smoothie for a couple of years and just recently added Organifi Green Juice to the mixture. I am sure you have been hearing the many wonderful benefits of juicing for a long time, I know that I have. I don’t juice, the thought has always turned me off.. because I hate messes. To me juicing sounds like I could make a huge mess. It is not like you do it once and the stuff lasts for a week.. to me it sounds like a commitment that you would do everyday…..No Thanks! I have found a juicing alternative… I can now get healthy superfoods in One Drink… With No Shopping, No Blending, No Juicing, and NO CLEAN-UP! That sounded like such a great thing to me.. so I ordered some Organifi Green Juice. The order came within a few days. The next morning I added a bit to my smoothie right along with my DE… it made the pretties green color. My Magic Bullet whipped the entire concoction up in just a couple of seconds… it gave my regular smoothie a great new flavor…. You can find out more about this product as well as see the list of ingredients it contains by clicking HERE…. When it comes to making messes I am one of the best at doing so. When it comes to juicing I bet I can make a bigger mess than anyone. I don’t try to make a mess.. It just happens. I am not sure how you juice but when I have juiced in the past…. I started out with all of the stuff that I wanted to put into my juicer…. after it was washed and chopped a bit, I added it to the juice machine. Sounds simple enough, doesn’t it… to me I already have a mess.. and if just once.. just once I were able to pour what I just whipped into a glass without spilling it.. I would be totally amazed with myself. So, am I the only one who makes a mess when juicing?… Enter my juicing alternative. Juicing made easy…. 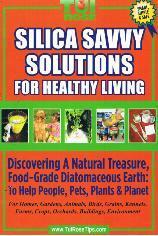 A faster and much easier way to get what your body needs without all the mess. My juicing alternative is Organifi Green Juice….. No messes anymore for me. I simply scoop and stir. I tried Organifi Green Juice because I was looking for a juicing alternative…I like what I found. 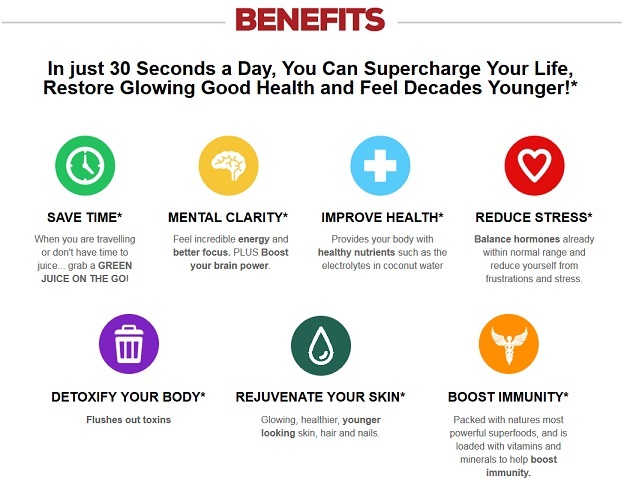 You can read all about the health benefits of this great product by clicking HERE. I am going to share with you a juicing alternative. Are you one of the many people that juice?… There are many health benefits to juicing…. and we all know we should eat lots and lots of fruits and vegetables. 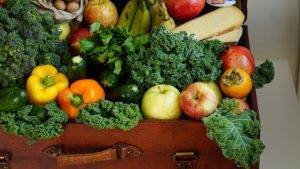 During the summer months, as it is here now in Michigan we have many fresh farm stands that have a wide assortment of fresh produce available. I can pick about any color from the rainbow to mix and match the fruits and vegetables. Gosh they all look so pretty. But the thing is.. juicing makes such a MESS… or it is just me that thinks that? First off, I have to store all that fresh stuff I bought and the thought of mixing a whole bunch of stuff at one time… to save for later sounds gross to me. So to juice just what your going to consume at one time and then do it all over again when you make another… to me sounds like not just 1 mess, but a constant mess. The key word being “fresh produce” indicates to me that you not only have to clean up the mess from the preparation and the juicing itself, but you also have to continue to purchase more product. As I said, maybe it is just me that thinks this sounds like a lot of work to keep healthy. I have found a better way, at least for me, a juicing alternative….Organifi Green Juice! Not only that… but I have found a way to sample it for FREE. I don’t know about you but I always wanted to try those green mixes, I heard about the health benefits but the thought of buying the canister and not liking it…just made this cheap ole gal cringe. So being able to try the product for free sounded like a no brainer to me….. In addition to having a scoop of DE in the morning… I now add a scoop of greens. I am going to feel like Popeye soon, I can feel it! You can read all about this great juicing alternative product and even try it for free…..